La Therapie Spa offers Botox, Xeomin and Dermal Fillers in Cary, NC. La Therapie Medspa has Cary's best pricing on Botox, Restylane, Xeomin, Neurotoxins, Allergan, Galderma, Volbella, Juvederm. Get rid of wrinkles, crow's feet, and lines between the brows with Botox. Discover full lips with Restylane Silk dermal filler. La Therapie's expert injector can restore volume to face, tear troughs and lips with dermal filler. For a powerful beauty boost, stop by La Therapie Spa for Walk-in Botox, Xeomin and our large range of dermal fillers. Our Expert Nurse Injector knows the latest techniques to help you look more youthful! Turn back the signs of aging with a quick stop at La Therapie. We will have you in and out and feeling beautiful. CLICK HERE TO SIGN-UP FOR YOUR BOTOX GIFT CARD. Questions about Injectables? Email us! Chris is a lifelong learner, pursuing advanced training and continuing education, in order to offer patients safe and appropriate solutions. Chris's patients often share with us that her expertise and professionalism helped them feel confident in their decision to use injectables. Before Chris specialized in medical aesthetics and injectables, she spent eight years focused on excellent patient care in Emergency Medicine and Hospice Care. While working in these areas of medicine, Chris provided compassionate care to her patients and their families. Neurotoxins can successfully treat fine lines and wrinkles, caused by repetitive muscle movement. When the muscles in our faces are used over and over, wrinkles begin to form. Combine that with the natural loss of the skin's elasticity, and the signs of aging can make us look much older than we feel. With noticeable improvement of fine lines and wrinkles, without surgery or recovery time, explore how you can let La Therapie help you turn back the signs of aging. Help improve underlying muscles, (beyond what facial peels are able to address). Temporarily minimize the appearance of fine lines and wrinkles on the face. Provide fast and dramatic results. Several tiny injections of the medication are administered directly into the muscle areas you wish to treat. The location of the injections will be determined by examining your ability to move certain muscles in the selected area. The location, size, and use of the muscles vary among individuals, which will be evaluated during your appointment. Discomfort is usually minimal and brief. Most patients see an improvement within 5-10 days. The efficacy of anti-wrinkle injectables will usually last between 12 and 16 weeks. Neurotoxins are safe for all skin types and ethnicities. Neuromodulators used in combination with fractional laser resurfacing can provide an enhanced results for the patient. Ask us how we can help you maximize your treatments. AT LA THERAPIE, WE CAN HELP YOU LOOK AND FEEL RESTED, RESTORED AND READY FOR ANYTHING. Dermal fillers are created from Hyaluronic Acid (HA), a natural component of healthy human tissue. An important structural building block in the skin, HA can stimulate the body's production of collagen, which helps create healthy dermal and epidermal tissue. Additionally, Hyaluronic Acid draws water from the body to the treated area, providing volume to the skin which helps to minimize the appearance of fine lines and wrinkles. There are many types of fillers, each addressing a different issue or area of the face. La Therapie's nurse injector, Lisa, is highly trained with advanced certification in injectables, knowing the exact a amount of the ideal product to create beautiful, natural looking results. Voluma - Adds volume in the cheeks to help correct age related volume loss. This injectable gel lifts, re-inflates, and contours the cheeks. 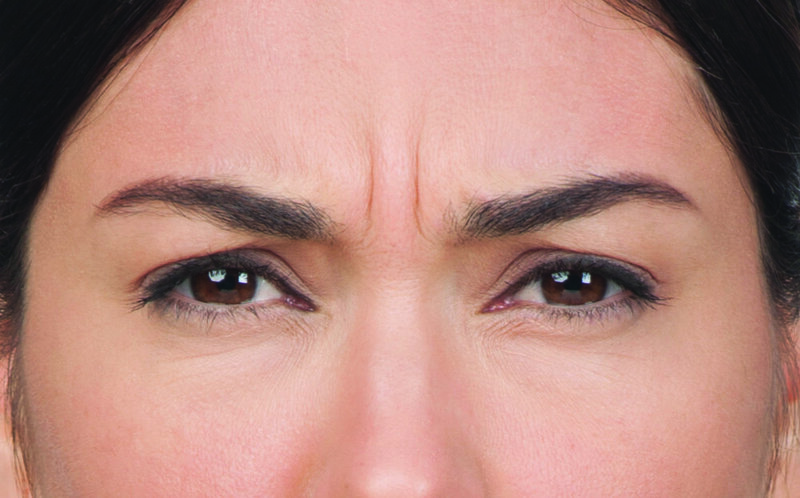 Vollure - An injectable gel used to correct facial wrinkles and folds (such as nasolabial folds). This is the most recent Allergan injectable. It creates a natural look, when used around the mouth to gently re-volumize this area. Volbella - An injectable gel used for gentle lip augmentation and smoothing lines around the mouth. Juvederm Plus XC - Used to correct moderate to severe wrinkles and folds (such as nasolabial folds). Restylane Lyft - Filler for moderate to severe facial folds and volume loss. Restylane - Used in mid-to-deep dermis to augment facial wrinkles and folds. Juvederm Ultra XC - Used to inject lips for lip augmentation and correction of perioral lines (lines around the mouth). Belotero - Used to soften wrinkles in the nasolabial folds. Sculptra - Can be used in shallow-to-deep soft tissue to restore volume in face. Radiesse - Used to correct volume loss in the dorsum of the hands. *Some dermal fillers contain the numbing agent, lidocaine. Please ask your provider if you have questions about lidocaine. *Individuals results vary by patient. CLICK HERE TO REVIEW MORE BEFORE AND AFER IMAGES. The aging process just does not seem fair, especially when it comes to the dreaded double chin. Submental fat can begin to accumulate, creating a fat pocket under the chin. There is no predicting who will develop submental fat, as weight is not alway an indicator. La Therapie Spa's Expert Nurse Injector, Lisa, has extensive training in helping patients rediscover their youthful chin, sans the fat. Kybella treatment is the alternative to liposuction and surgery. During the non-invasive treatment, several tiny, targeted injections of deoxycholic acid are administered. Over several weeks, the medication breaks down fat by destroying the cell membrane. The fat is then metabolized and eliminted as waste, permanently removing fats cells. Most patients require a series of two treatments for maximum results. The procedure is very tolerable, as a topical lidocaine is applied before the injections. Most patients resume their normal daily routine following the procedcure. INTERESTED IN OUR OTHER ADVANCED SKIN CARE TREATMENTS? EXLORE our PRP TREATMENT with MICRONEEDLING. the Brilliant Distinctions program and earn points for purchases and services. ENROLL IN MERZ XPERIENCE LOYALTY PROGRAM FOR ADDITIONAL SAVINGS. ENROLL IN ALLERGAN’S LOYALTY PROGRAM TO EARN ADDITIONAL SAVINGS ON TREATMENTS.